On Saturday, April 29 from 10a.m. 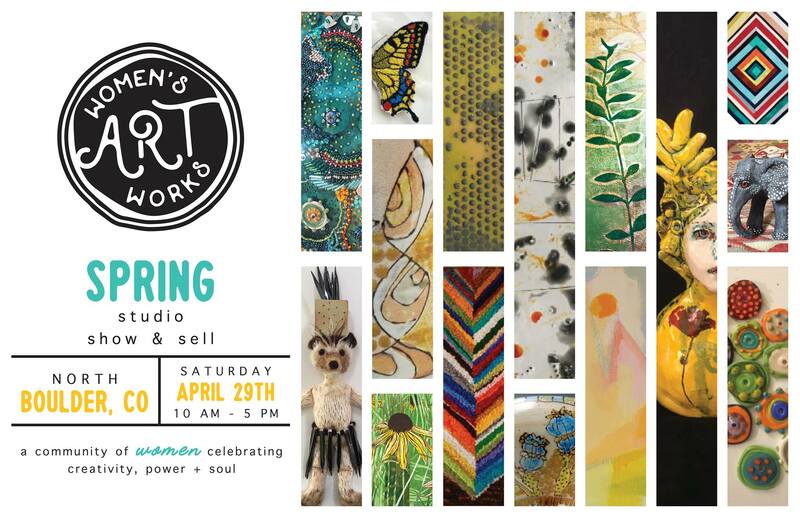 to 5 p.m., seven female artists of North Boulder will host their annual spring tour, Women’s Art Works – Studio Show & Sell. The tour will take place in the personal studios of the artists. Artists include ceramicists, painters, printmakers, fiber and bead artists. Artists will be on hand to talk about their processes and ideas. Visitors will be able to view work in progress and purchase art. Featured artists include: Willi Eggerman, Caroline Douglas, Alison Dearborn, Theresa Haberkorn, Alix Christian, Eva Maier & Julie Ireland. Win a piece of art from your favorite artist! Pick up a treasure map at the first studio you visit and enter to win. Women’s Art Works raises awareness and strengthens the artists in Boulder by supporting women artists through friendship and participatory activities.